925 Silver Plated Ring may seem like just a ring for some but only those who can look at it wholeheartedly can see the harmony a cat and a heart in it. 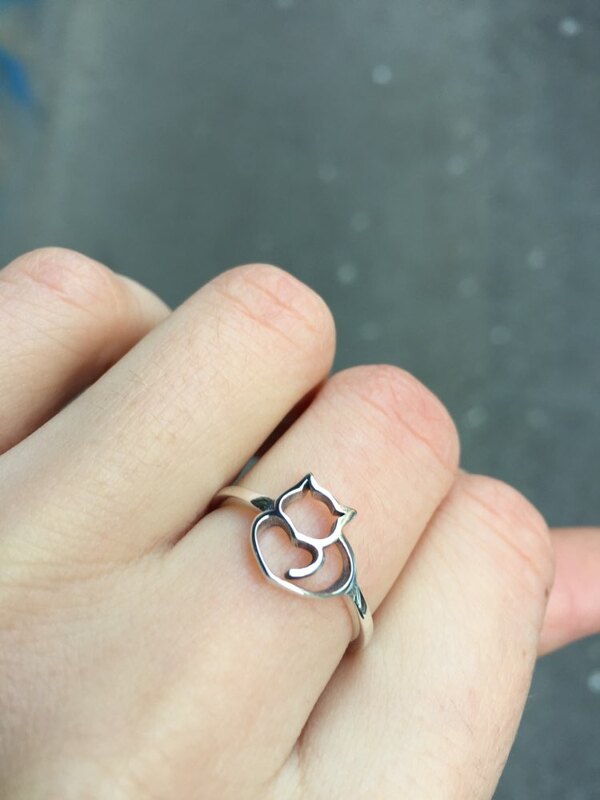 They have the chance to carry this unique harmony on their fingers with this stylish cat ring. Additionally you don’t need to pay any unnecessary shipping cost at thekittenpark.com We have free shipping option to your country. Free shipping is taking 12 days to USA and 14 days to Canada/Europe. You can ask your any questions to thekittenpark’s support team at 7/24. It's amazing and it's shining. Thanks!